Well,it’s that time of the year when we start filling out our dog rosters with purchases of bird dogs to supplement the ones we have trained here at Riverview. In some parts of the country they are called pointers,setters,shorthairs,etc., but here in the south we simply refer to them as bird dogs. And there is only one bird that we are referring to–the illustrious gentleman Bobwhite quail. One of my first of many jobs when I first returned to Riverview was purchasing bird dogs. That lasted until I bought a dog from a lady trainer who was wearing the tightest pair of hunting britches I have ever seen. When I returned to Riverview with the dog, Pop asked me what the dog’s name was. When I couldn’t remember, he transferred me and gave that job to Mr. Bobby Sharp.Bobby has been retired for years now, and our head dog man,Moss,is doing a great job of dog haggling. I love dogs, and feel sorry for anyone who has never known the love of a good pet or hunting dog. It is a very special bond when that pet you love is also a working dog. The first dog that I ever trained was named Bimbo. Well,it would probably be more truthful to say that Bimbo trained me. I was 13 years old, and he was a puppy from a good bloodline.Pop kept 150 acres around the house that he would not allow anyone to hunt on except me and Bimbo. During hunting season, I would jump off the school bus,whistle up Bimbo,grab my trusty 20 gauge single shot, and go quail hunting. Bimbo had two peculiar quirks that I never could fix. If I killed a quail in thick brush, he would go retrieve it every time. If ,however, the bird fell in open ground,he would just sit and stare at me until I picked the bird up for myself. He also only gave me four misses in a row before he would turn around and trot home. Talk about pressure, but Bimbo was a stern critic of my youthful gunning ability. 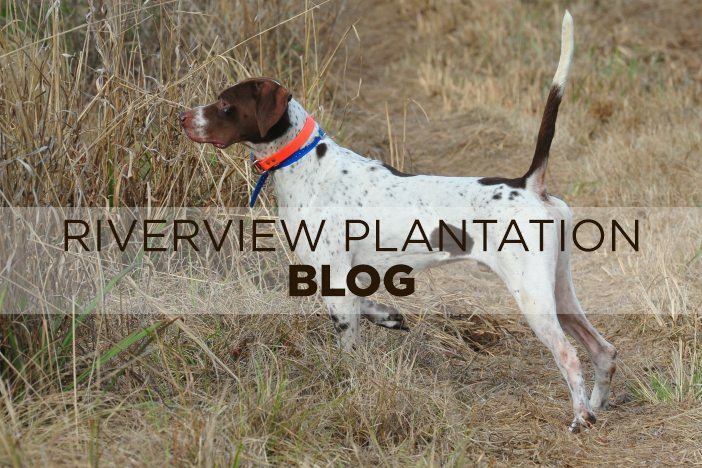 One of my favorite bird dog stories also was one of life’s great lessons for me. My Dad was one of the greatest wing shots I have ever known. He started letting me hunt quail with him when I was around 11 years old. Pop always had great dogs, and he rarely failed to double on a covey rise. Then he would turn to me and ask,”Did you get one?” to which I would respond,”I dropped one over there.” so off the dogs would go looking for a non-existent dead bird. This went on for about two hours when finally Pop leashed the dogs,sat down on a stump,looked at me and said,”Son,there are two things in life that I detest–that’s a liar and a sorry bird dog. So I’m fixing to shoot these two sorry dogs that can”t find all of your dead birds.”Of course,I confessed promptly and learned a valuable lesson–if you are going to lie,it had better be a very believable lie. Hunting season is just around the corner!